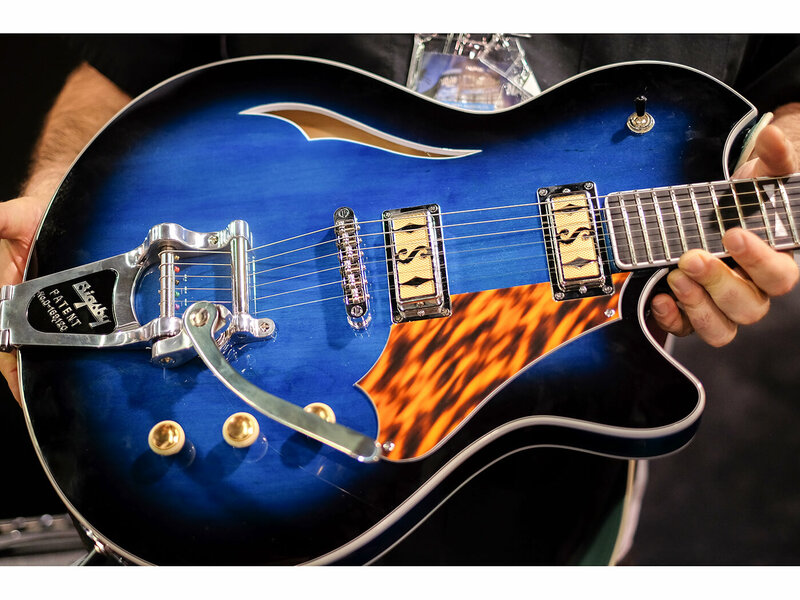 The NAMM Show is where the great and good of the guitar world come to reveal their most exciting new models – and 2019 was no different. From the plethora of exciting new instruments unveiled on the show floor, here’s our pick of the best and most important new acoustics and electrics you need to know about in 2019. Fender’s big release for NAMM 2019 is a fascinating and individual instrument that smashes together an acoustic and electric guitar to create a hybrid instrument equally well suited to stage and studio. The fully hollow, Telecaster-inspired body produces an impressive unplugged tone while the comfortable electric-style neck gives effortless playability. Plugged in is where it comes to life however, with the Fender- and Fishman-designed guitar engine offering impressive acoustic sounds, while the noiseless pickup offers classic electric tones on tap. The real joy comes when you blend the two, however, creating a fabulous blend of electric clarity and acoustic warmth. Gibson’s return to NAMM in 2019 was a huge statement of intent for the company’s new regime, revealing a wealth of exciting vintage-inspired models at every price point. Our pick of the bunch was a celebration of Gibson’s most iconic guitar: the 60th Anniversary 1959 Les Paul Standard. The biggest story from NAMM 2019 was without a doubt Ed Sheeran’s partnership with Lowden for his own signature range of acoustic guitars. 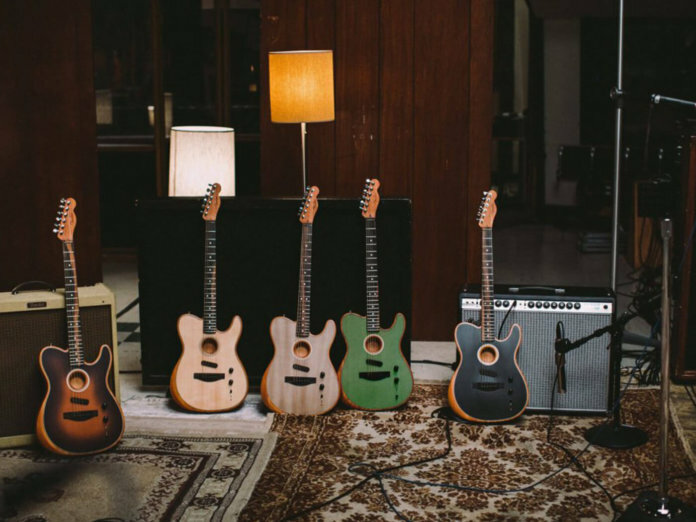 But getting our hands on the guitars at the show after the reveal, it became clear that this is no vanity project from the platinum-selling pop superstar – these are seriously good guitars for a shockingly small amount of money. As you can hear from the demo of the top-end S04 model above, this is a guitar with fantastic tone and responsiveness, plus excellent playability to boot. When these instruments hit retailers later this year, it could cause a huge shake-up in the acoustic guitar landscape. The reborn Supro’s guitars and amps have earned a reputation for quality and cool in recent years. While this new Clermont model might not look exactly like the original 60s double-cut, this maple-bodied offset semi still drips with vintage vibes, courtesy of its Midnight Blueburst finish and tiger-stripe pickguard. Things are equally excellent in the tone department, thanks to the pair of mini gold foil humbuckers and a B7 Bigsby vibrato. It’s a lot of retro fun for not a lot of money. Gretsch’s top-end Players Edition range was fortified with a series of droolsome new models at NAMM 2019, but none were quite so lovely as this new G6636T model. Better known as the Black Falcon, this slimmed-down version of its white sibling now sports a feedback-busting chambered spruce center block. There’s also stylish gold sparkle binding, a pair of High Sensitive Filter’Tron pups, and a Bigsby B7GP. It’s all the iconic Gretsch twang you could want with gig-friendly accommodations, suited to any working musician. This new PRS axe is the best of both worlds: it blends the Hollowbody II’s fantastic versatility with the classic vibes of the McCarty. We get the 58/15 LT pickups from the Hollowbody model, which offer a fabulous range of humbucker and single-coil tones. Additionally, the semi-hollow construction adds air and expressiveness. From the McCarty, however, we get a 24.594-inch scale length, two-piece bridge, tweaked Phase III tuners, Pattern Vintage neck shape and a simplified control layout. For many, this will be the ultimate PRS. 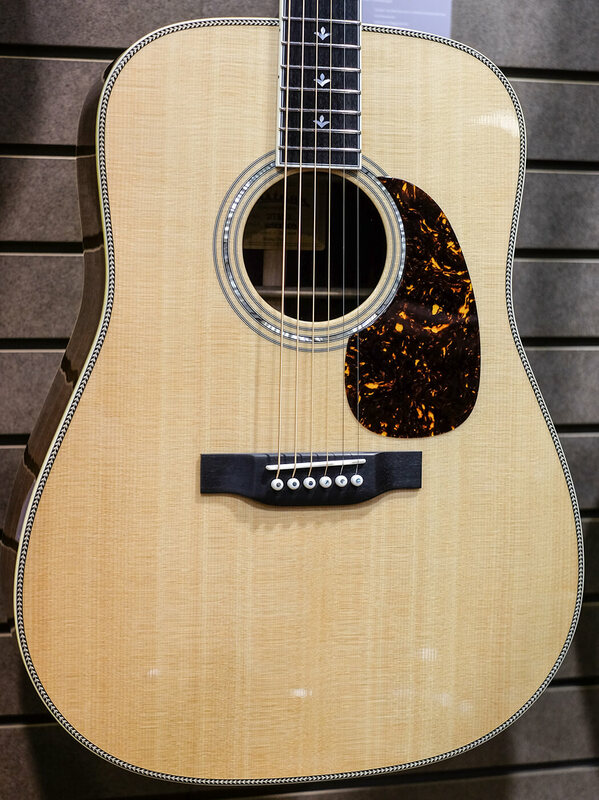 The Chinese guitar builder’s big innovation for NAMM 2019 was the Double Top Series of acoustic guitars, a new take on the flat-top acoustic that offers greater resonance, responsiveness, clarity and balance. The magic all lies in how the top is made: Eastman takes two 1mm pieces of spruce and sandwiches them around a honeycomb-like substance called Nomex. This adds rigidity between two pieces without piling on weight, meaning more sonic qualities without adding extra weight or compromising the clarity and articulation on board.